Y'ALL. 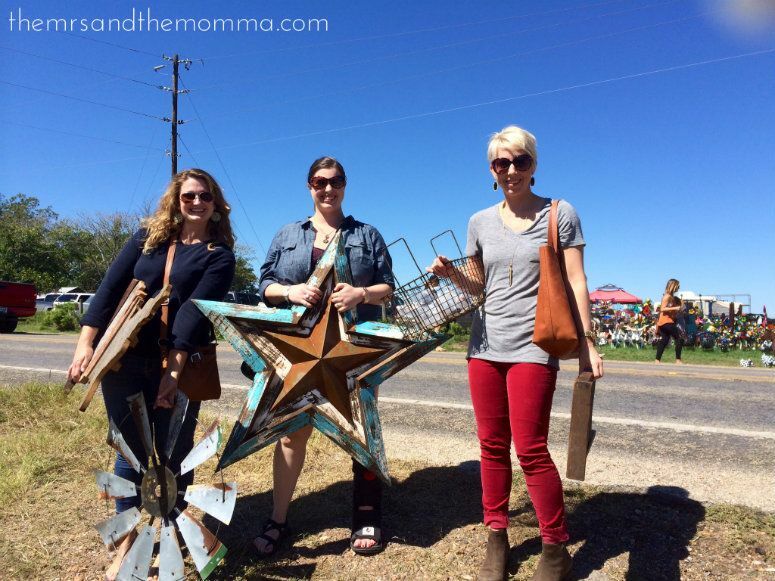 I had my first junkin' experience a couple of weekends ago. Some call it antiquing. Some call it junkin'. Some call it Round Top, Texas. I call it a kid in a candy shop! 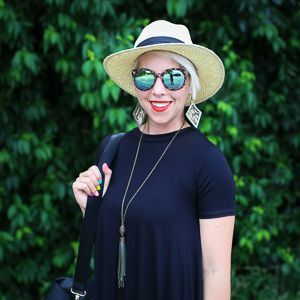 A couple of girlfriends and I took the hour and a half drive out to Round Top and totally scored some amazing finds and deals...haggling is completely the norm...something I didn't realize until AFTER my first purchase. After we got the jist of our whereabouts (booths as far as the eye can see) and what we mainly were looking to find...the day was a hit! Okay, so let me tell you about my personal "interior decorator". My friend Sienna....who's track record of suggesting amazing additions to our new home has resulted in the barn doors and the above windmill turned kitchen light fixture. I absolutely love it! 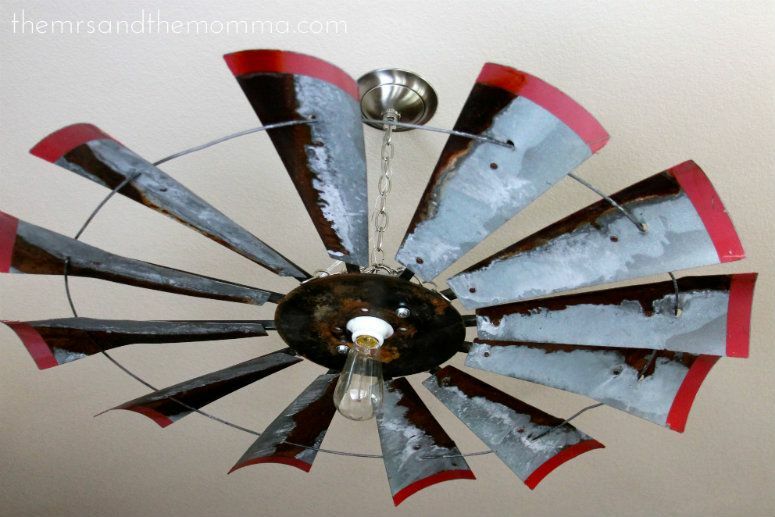 Her husband and Blake turned it into a fully functional light that's now over the kitchen table. She's got an eye, I tell ya'! 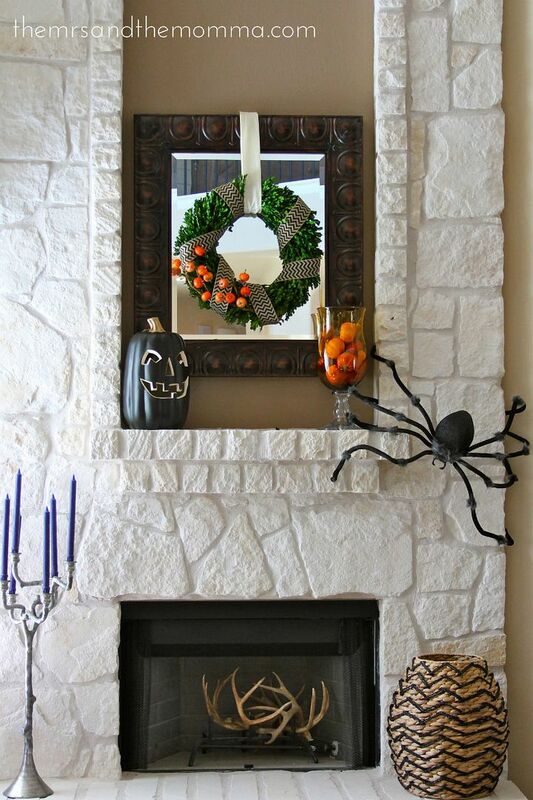 Speaking of interior decorating, I thought I'd just share some festive decor we have up. In years past I've hardly decorated for Halloween....so this little bit we have up is a huge step. It might have something to do with me hosting Halloween Bunco this Friday (remember this costume from last year's Halloween bunco?). 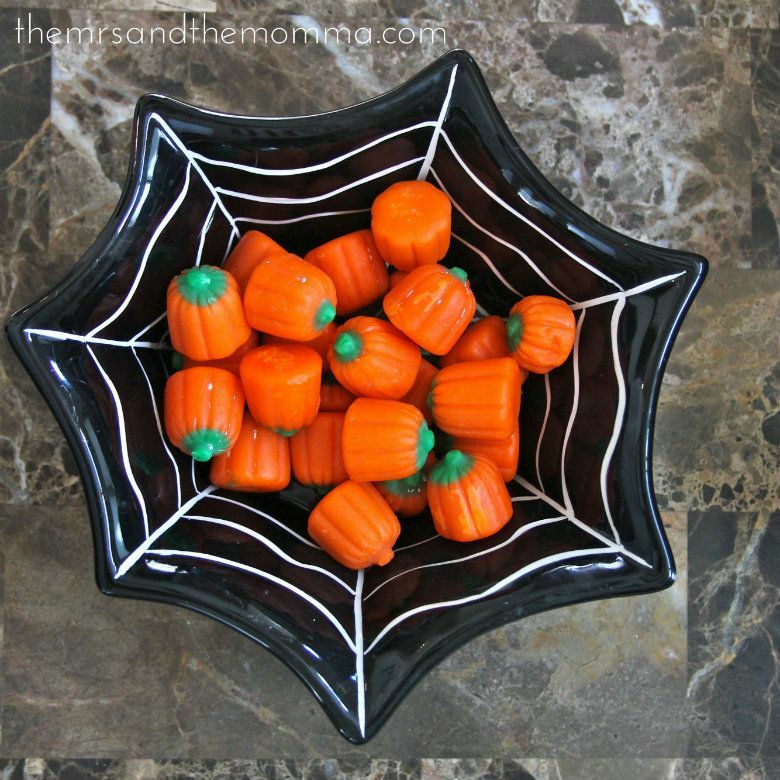 Do you decorate much for Halloween? 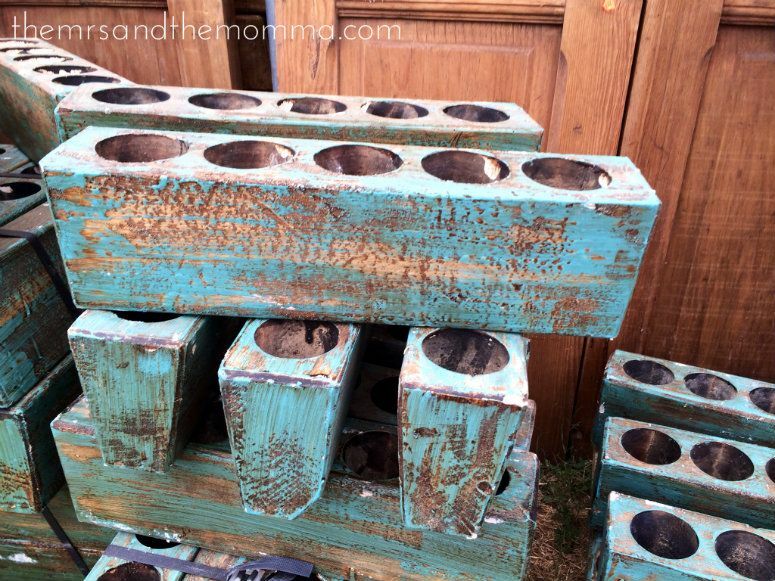 Have you even heard the work junkin' before this post? I'll stop there. Happy Columbus Day...or as we call it, "He Never Realized This Wasn't India" Day. I love Junkin! 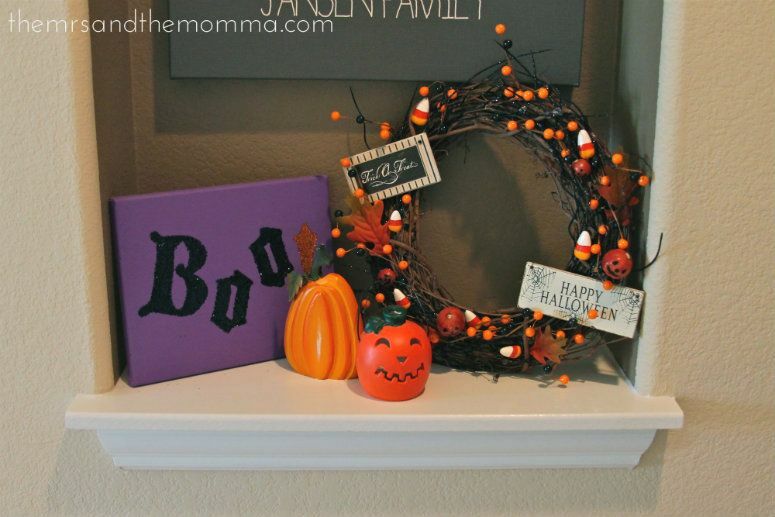 Cute decor!